It was a combination of rain and crosswind that highlighted by venture into the state of Washington. I only had 220 miles to go but right at the start it rained a bit and then the sun came out and jI enjoyed beautiful high clouds. But the crosswind was blowing from my left to the right making for some white knuckle driving. 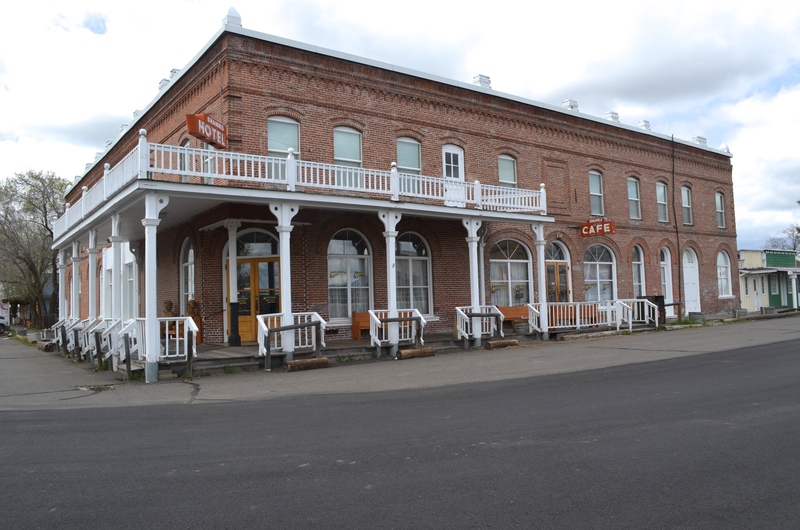 Someone suggested (sorry but I can’t remember who) on my way to Yakima I stop at the little town of Shaniko, OR. It is right on 97 so decided to check it out. It is a very old town with many really old buildings. It is practically a ghost town but I did see a few people and a couple of businesses still open including the post office. It is a neat little town only consisting of a few blocks. I got out the camera and took some of the following pics. The old livery stable. Lots of rusty stuff around here. 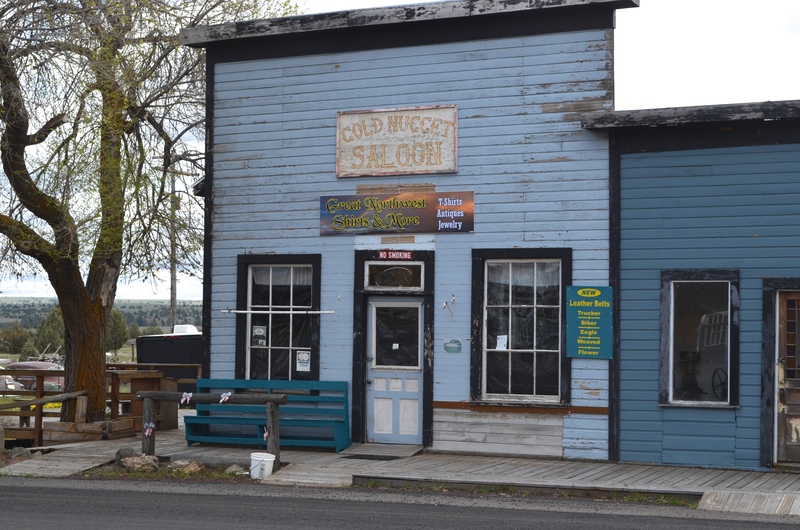 This is the Old Gold Nugget Saloon. I bet I lot of booze was consumed here at one time. Most of these buildings were closed. 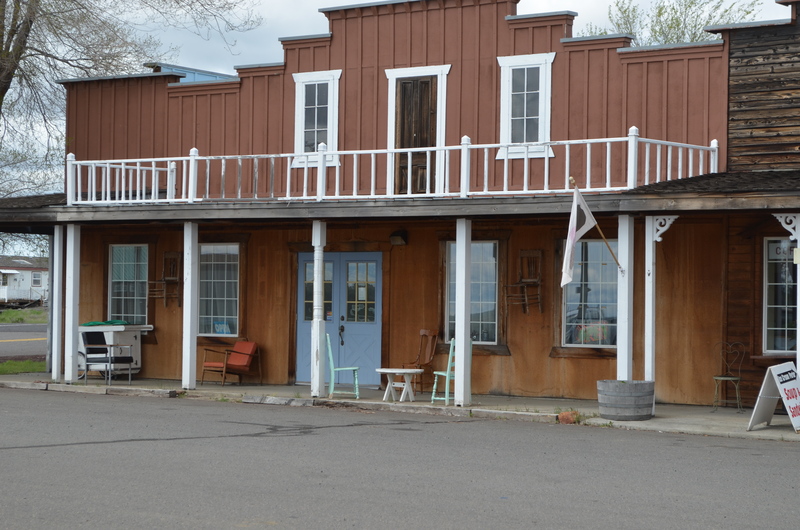 This is the town’s hotel. It is the biggest building in town. I am not sure what this building was but it sure looked neat. There were many other buildings on another street along with a museum, but it was late in the day and I still had a ways to go to my destination. It is a neat little town out in the middle of nowhere. I would like to spend more time here whenever I get up this way again. 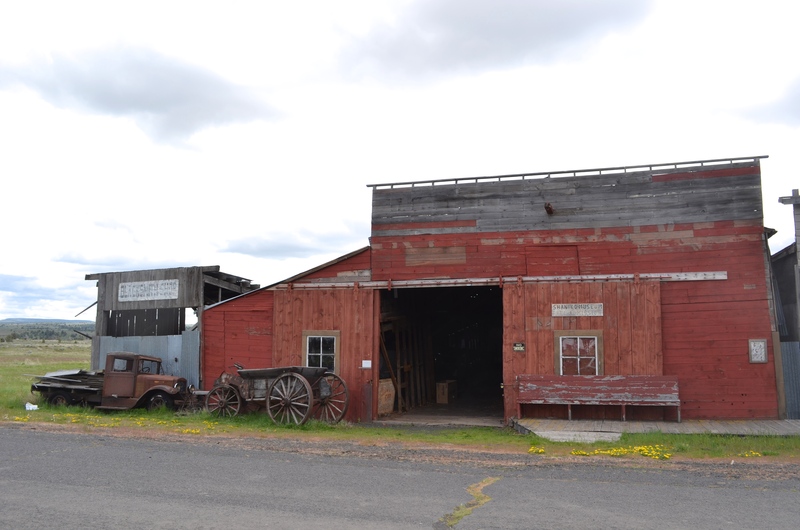 This entry was posted in Shaniko, Wind and tagged crosswind, Oregon, Shaniko by Jim Melvin. Bookmark the permalink. Definitely keeping this town in mind for a photo op. Looks like a lot of good things to aim a camera at! Thanks for sharing your photos of Shaniko. 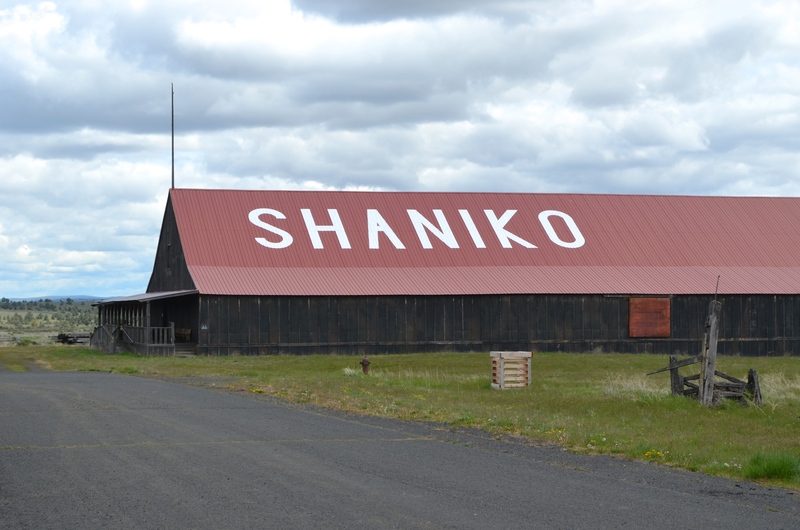 We visited Shaniko a couple of years ago. Interesting place, as is the surrounding area. We didn’t spend much time their either and would like to go back someday.